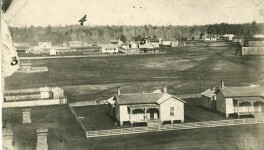 Before the land sales Huntsville was a straggling village of squatters, living on government land and in the rude log cabins. The settlement was scattered along the table lands from Pope’s Hill to the big spring, and there was nothing to show where the village commenced or ended. 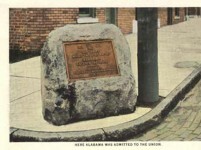 Alexander Gilbreath had a trading-house or store near the spring, about the corner of Gates and Henry streets. 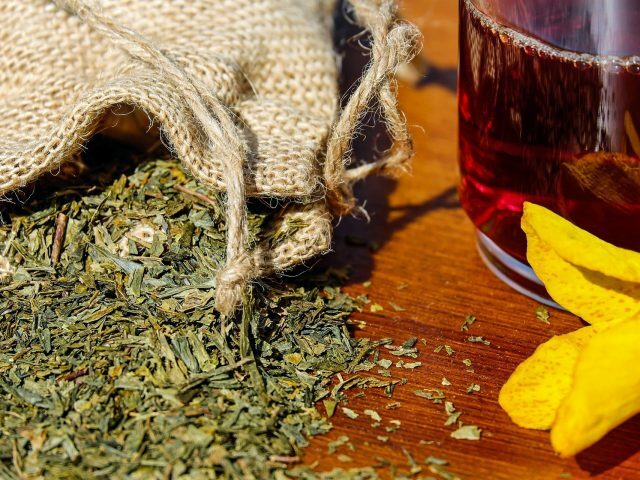 He appears to have been the first merchant in the new settlement, and after the city was laid out he and James White went into partnership and did a large business about the year 1811-12. A rough country road came in from Holmes street through a miry pond near Struve’s corner, wound around the rough knoll, now the Public Square, climbed a steep hill east of the Square and worked its way round to Gilbreath’s store and then went down Madison street. There was a path cut out and blazed a mile or two northward, and one going west towards George Dilworth’s, beyond Russell’s Hill. A sinuous mountain ridge covered with a heavy growth of cedar came nearly to Lincoln street. 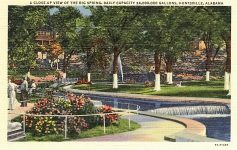 The beautiful table land along Williams street, where the wealthier citizens afterwards bought large lots outside of the corporation and erected fine buildings, was a fine grove of huge oak and poplar; along Maiden Lane was a low valley, south of which were rough cliffs with caverns and sink holes at their base. The first lot in the new town was sold on the 4th of July, 1810, and the first court-house was commenced soon afterwards. 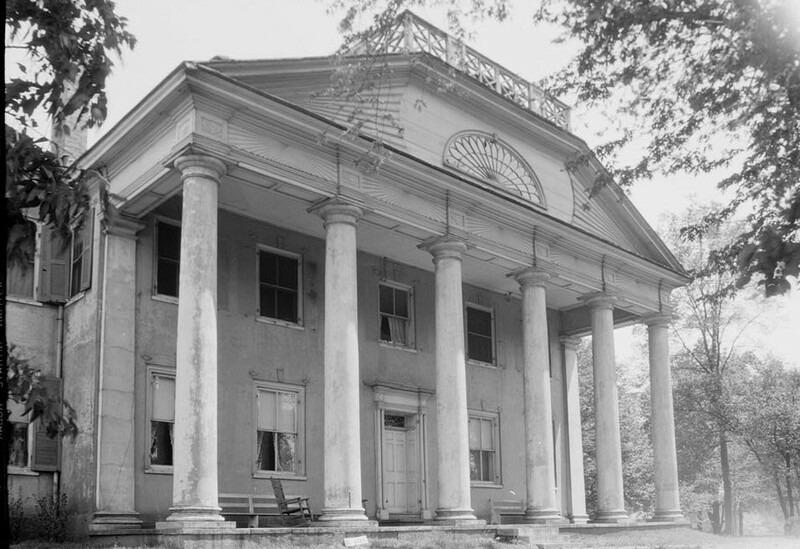 The court-house was sufficiently advanced for holding court in the Fall of 1811, and was finally finished under a contract with John H. Hickman in the year 1816. By this contract he agreed for the sum of six hundred and fifty dollars to finish the inside wood work of the court-rooms, to paint and renovate the windows and cupalo, and on the latter to place on rods a large gilded ball surmounted by an eagle with outstretched wings not less than two feet across, and there was proviso that if the commissioners of public buildings concluded to have an eagle of copper Hickman was to have extra pay for procuring and putting up same. 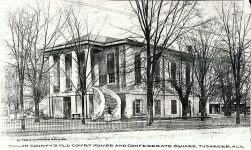 The old wooden jail stood northeast from the court-house in corner of the Square, and its site is probably outside of the railing. The pond beyond it sometime spread its waters under the jail, and this circumstance caused it to be removed to its present site. The market was first attached to the court-house, either in its basement or in stalls adjoining, and was first removed to the Holding square, where it remained until the lot on which the market-house now stands was purchased. The roads leading northward were the only outlets to older settlements; the paths south, west and east extended a few miles to the outer settlements, and ended in narrow trails going into the Indian territory. The old settlers’ cabins were scattered irregularly from Pope’s Hill down to Madison street, but there were no buildings erected fronting the public square until after the sale of the town lots. John Brown purchased fifty feet front on Exchange Row and erected two store houses, the first erected on that side of the Square, on the site of the store-houses occupied now by Duncan & Rand and Scruggs, Matthews & Co. James 0. 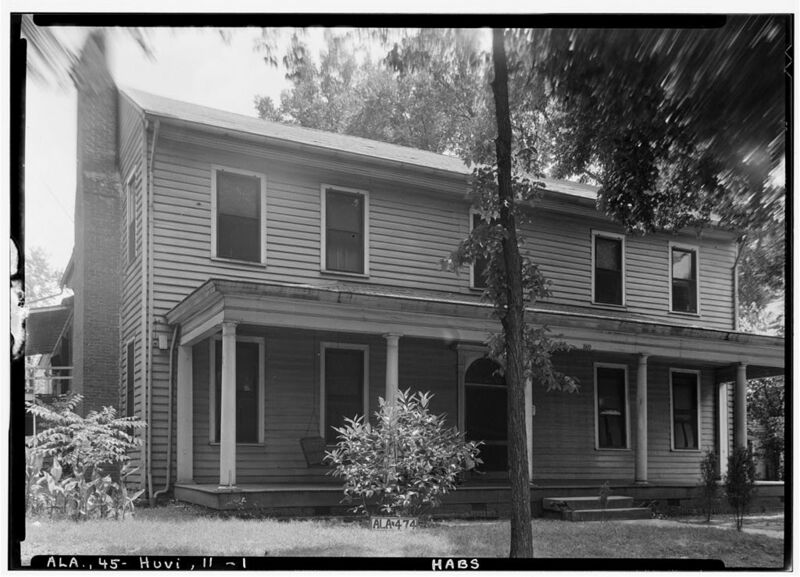 Crump also built a house on the ground occupied by the eastern portion of the Donegan block, separated from Brown’s house by an alley ten feet wide. Neal B. 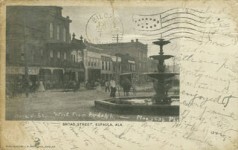 Rose and Pope and Hickman built the first stores on the east side of the public square, and the first hotel erected on the Square was built by Clayton Talbot. 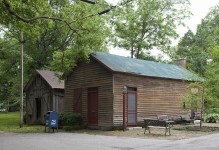 John Read had been a clerk in the land office at Nashville, but came here in 1810; he purchased the half-acre lot including the west half of Commercial Row and also the lot at Schaudies’s corner. 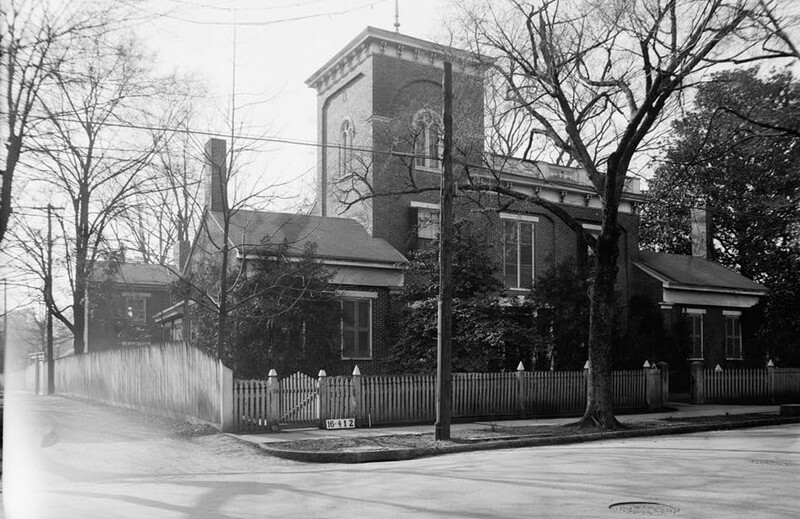 He invested extensively in town property, and at one time owned nearly all the land south of Williams street, between Franklin, and a continuation of Green street southwardly to Pagan’s creek. He was a prosperous and popular merchant for nearly half a century, retiring from business about the year 1856. 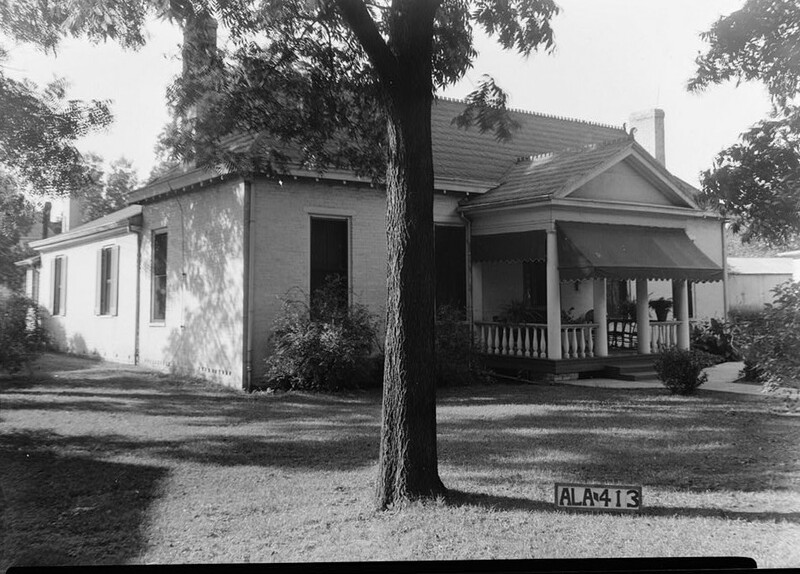 The first house he built was at Schaudies’s corner, which he sold to Andrew Jamison who kept a hotel there, which passed at an early date to Allen Cooper who lived there for many years. 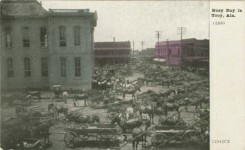 Among the earlier merchants who purchased lots from Read on Commercial Row and put up store-houses, were Joshua Falconer, James Clemens and Stephen Ewing, and Taylor & Foote. 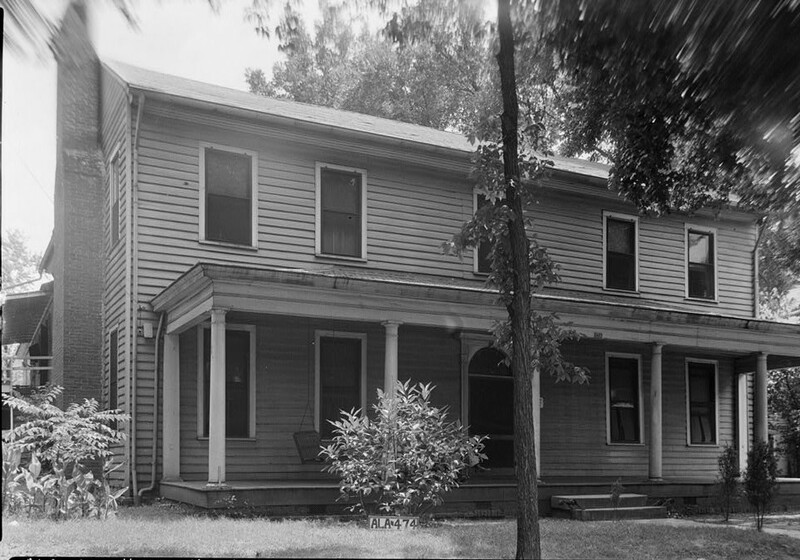 Stephen Neal, one of the earliest settlers and sheriff of the county from 1809 to 1822, purchased the lot embracing the east end of Commercial Row and sold it to different parties, who built store-houses there. 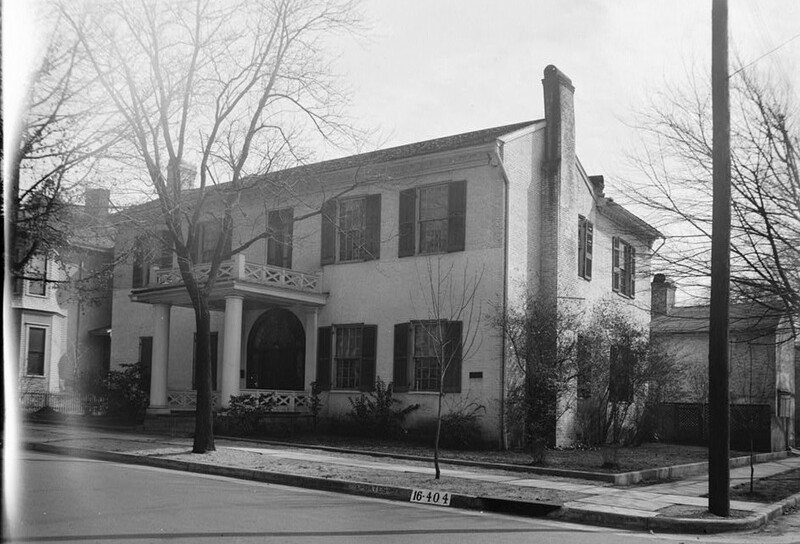 Among these were Luther and Calvin Morgan at the corner, Clement C. Clay, whose law-office fronted on Franklin street, William Patton and Andrew Beirne, long and favorably known to our people under the firm name of Patton & Beinte. 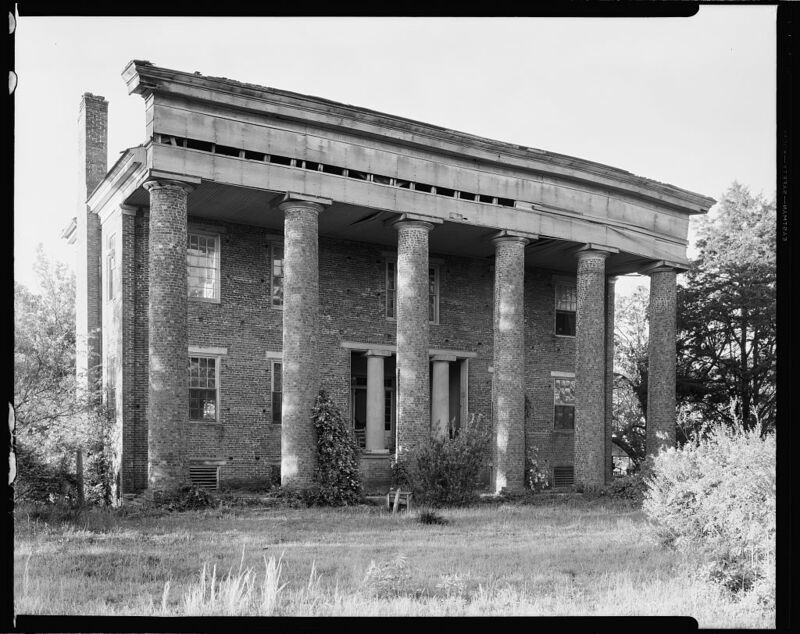 They purchased one-half of the front of Neal’s lot, were eminently prosperous in business and accumulated large property in the county. 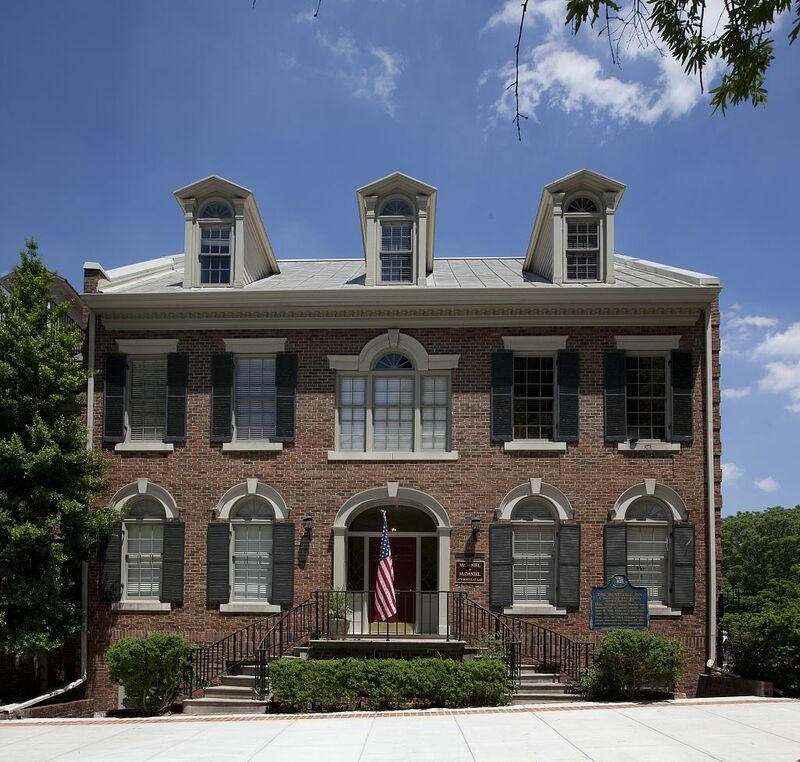 Samuel Hazard and William and Andrew Veitch carried on an extensive business, but finally sold out and transferred their business to Philadelphia and Hartford, their native cities. 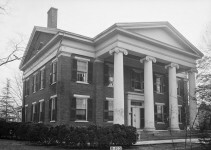 Among the old hotel-keepers in the city were Christopher Cheatham on Huntsville Hotel square and Archibald Maderra on the Callahan lot, now Chris McDonald’s; which last establishment was the headquarters of the convention of 1819, where they frequently met and where they had their committee rooms. 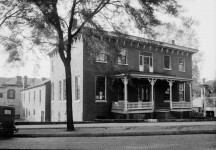 When Christopher Cheatham erected his hotel no street was open from the Square to Gallatin street, and he needed an alley ten-feet wide on the south side of the hotel square, to which Col. Pope added forty feet when he sold the lots around the spring. This street, fifty feet wide, was called Pendleton Row a name which it seems, was forgotten or changed and should be restored. The beautiful level table land gently descending westward from Lincoln to Madison and south of Williams street, just south of the original city limits, early attracted the attention of citizens seeking large lots on which to build their more pretentious homesteads. East of Lincoln street and north of Maiden Lane John K. Lile and Richard Pryor bought lots, on which they settled. 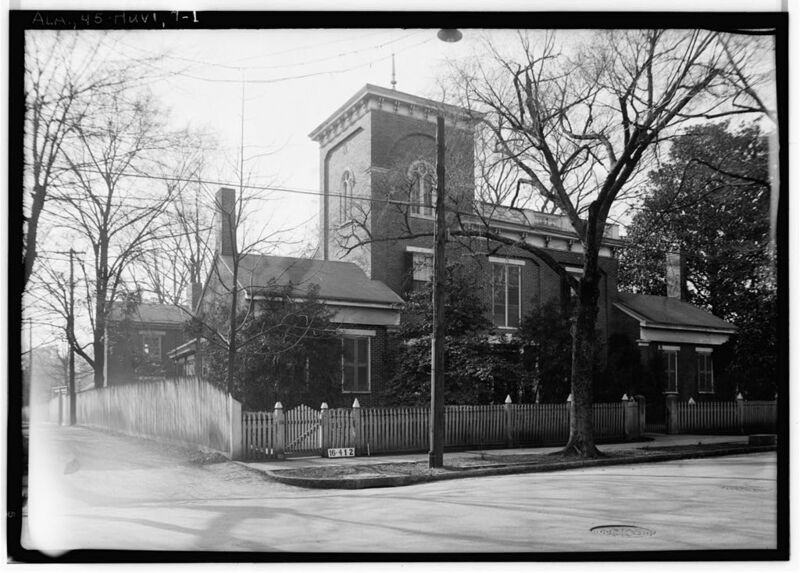 Elijah Boardman bought twenty-seven acres of land extending from the Matthew’s residence on both sides of Adams avenue beyond Fagan’s creek; C. C. Clay purchased the lot where W. B. Leedy later lived; Jno. M. Taylor and afterwards Gov. 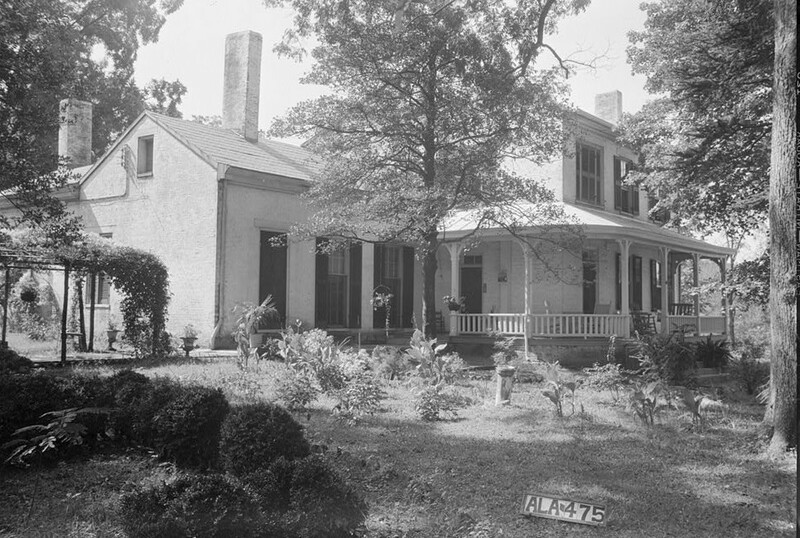 Thomas Bibb owned the Beirne homestead; Henry Minor the Fletcher homestead, and John Read the lots westward and southward to Franklin street and to the creek. 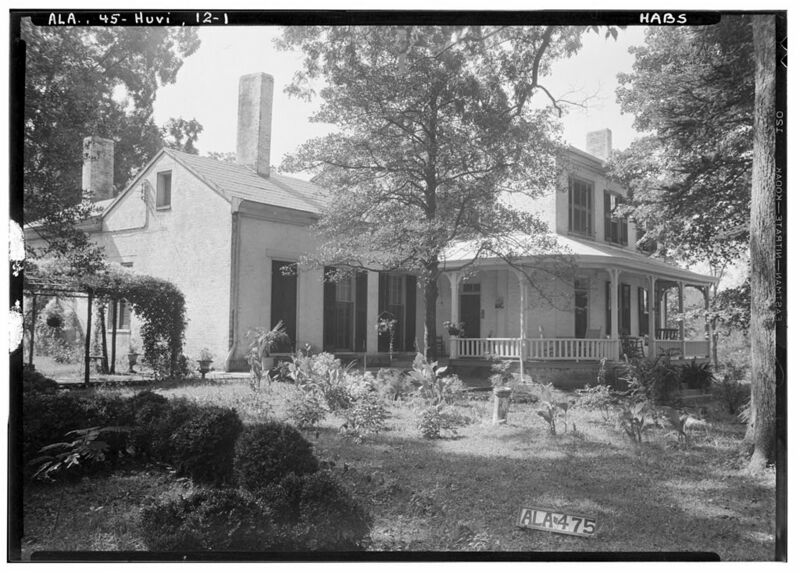 Pope’s first gin-house was immediately in the rear of the Beirne homestead. While much of the city property frequently changed hands, the property owned by Dr. David Moore forim an exception. 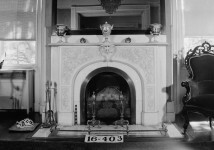 He came here in 1809, rapidly accumulated property and made judicious investments. 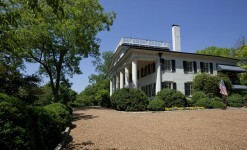 Besides his vast landed estate in this and adjoining counties, he owned valuable city property. 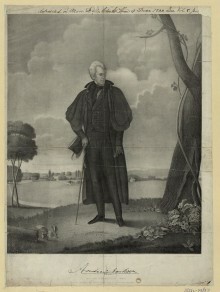 Land was his favorite investment, and while he bought large farms he seldom speculated in or sold real estate; a large portion of his land was purchased at the land sales in 1809, and afterwards, still remaining in possession of his descendants to the present time. South of the tier of lots below Williams street Leroy Pope cleared the first farm on his purchase, running south to the quarter section line and north to Pope Hill. 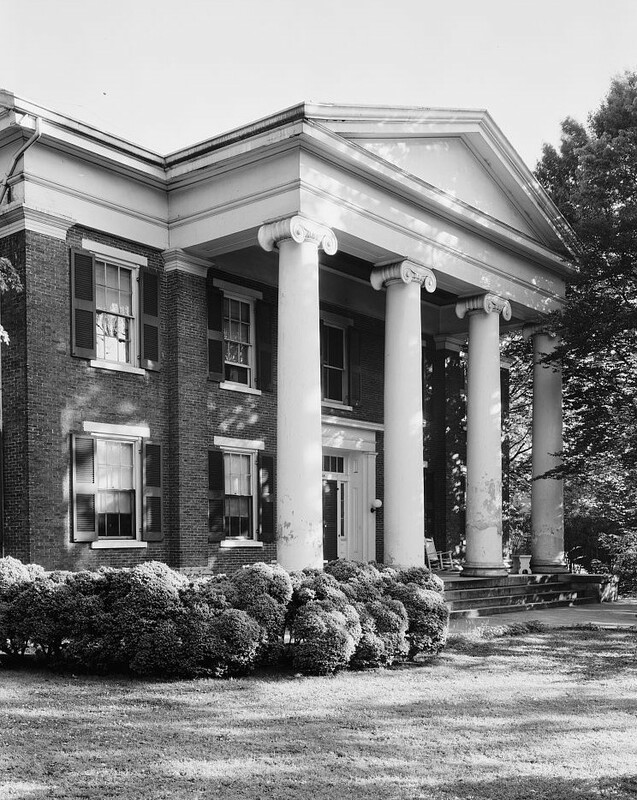 David Moore cleared several hundred acres on the Rhett place and built his old brick residence on Whitesburg Pike that stood until just before the war. 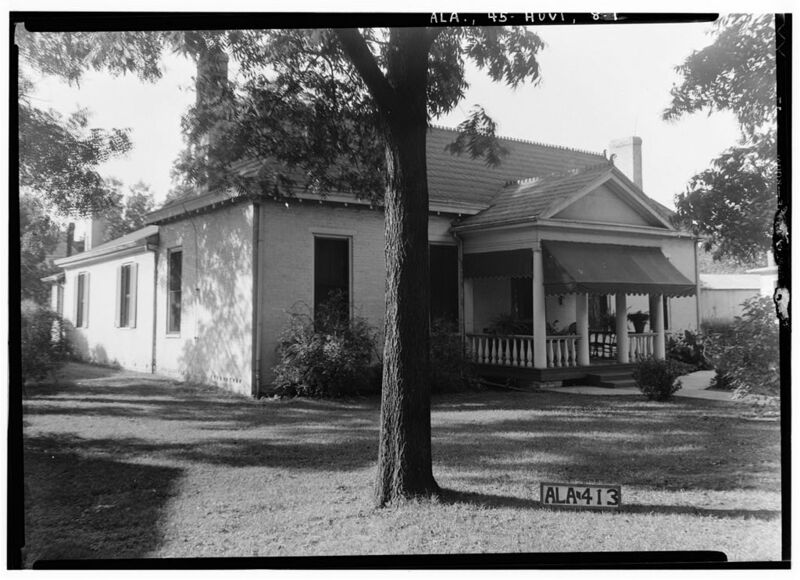 On his town property north of Holmes street between Meridian Pike and Washington street, he built the first gin-house in the city and also put up a horse-mill just north of the oaks in the triangle between Meridian and Washington streets. 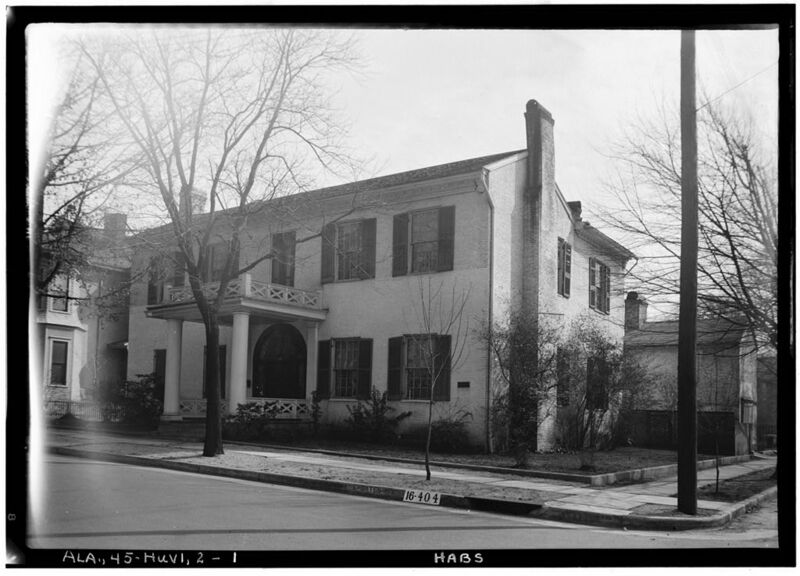 He built a fine residence on Holmes street, which was destroyed by the great fire. John and William Badlum had a bake-shop and flour-store east of Madison street opposite the junction of Williams, and as far as I can ascertain they put up the first water mill adjoining the city near Clinton street, near where Adam Hall’s mill stood. 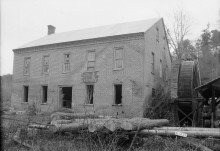 James Barclay, who was Hunter Keel’s (sic) partner in erecting the water-works in 1823, built a mill on the Pulaski road where Henderson Brandon’s mill stood. 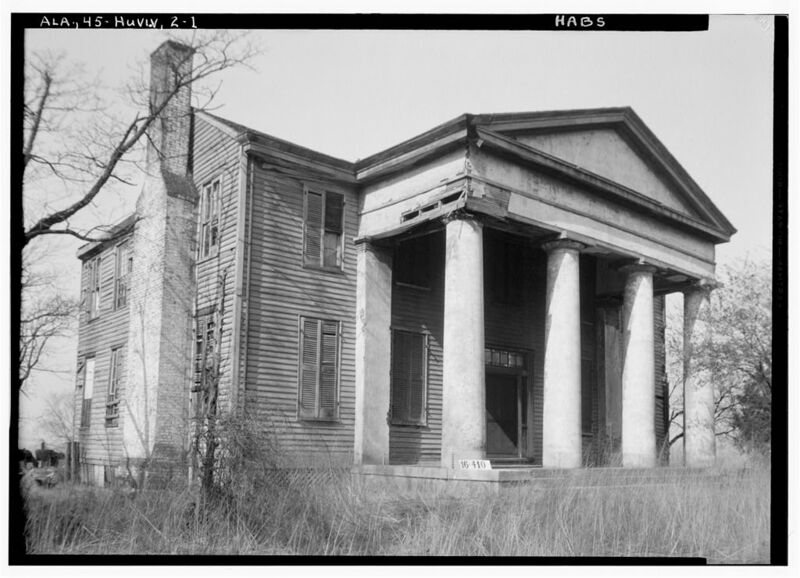 Leroy Pope deeded to Willis Pope the land west of Whitesburg turnpike in section one, from the township line to the Rhett plantation, and he first located on the Davis Grove property. As far as I can ascertain I have given the location of some of the early settlers in the city from the year 1810 to 1815, at which latter date the city built up very rapidly. The town did not grow much until the year 1815. Although the agricultural interests of the country flourished, yet the times were unpropitious for commerce and trade that build up cities and towns. European wars had ruined foreign commerce, and then came the war of 1812 that paralyzed business for three years. Our people were remote from the scene of actual warfare and did not feel the calamities of invasion, but it interfered seriously with the trade in and cultivation of cotton, and there was but little money in circulation. After the close of the war of 1812 cotton culture was rapidly developed and our people entered upon a career of unexampled prosperity. The fall of Napoleon gave peace to Europe and new life to commerce. 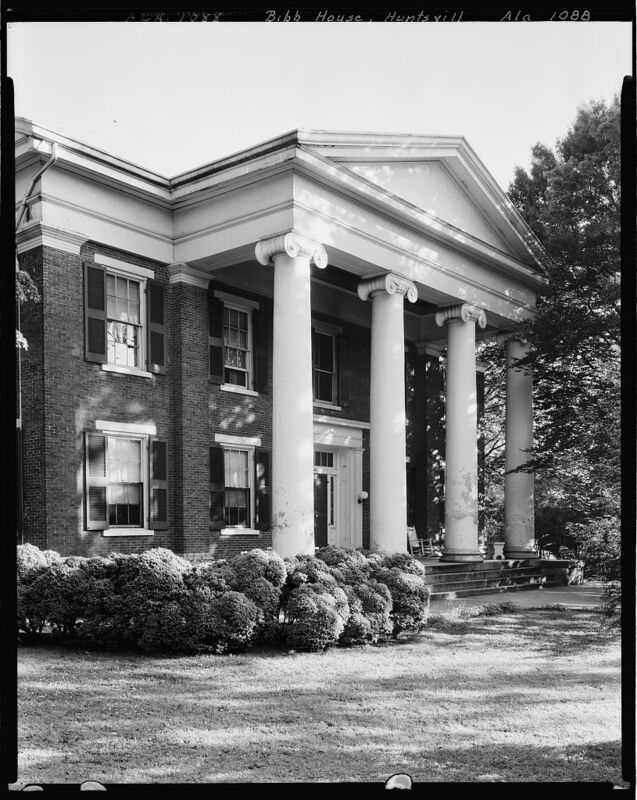 Cotton was in great demand and brought a high price, and the fresh, fertile lands of the Tennessee valley produced enormous crops of the staple. I have given John W. Walker’s statement regarding the crop in the year 1817, and it had risen to that amount from the year 1815, after peace was made. Thomas and William Brandon, the builders of the city, had come here in 1810 with no property except their trowels and great skill in their trade, and from a straggling wooden village they made a city of stone and brick. 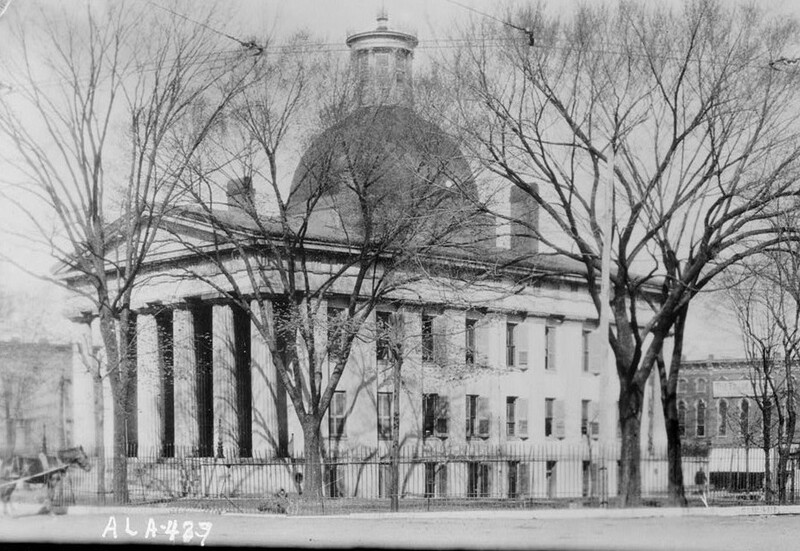 The court-house was finished but before it was completed there were elegant brick buildings erected on all sides of the Public Square and not less than thirty merchants in business in the city, and a large number of elegant residences completed or in progress of erection in all parts of the city. 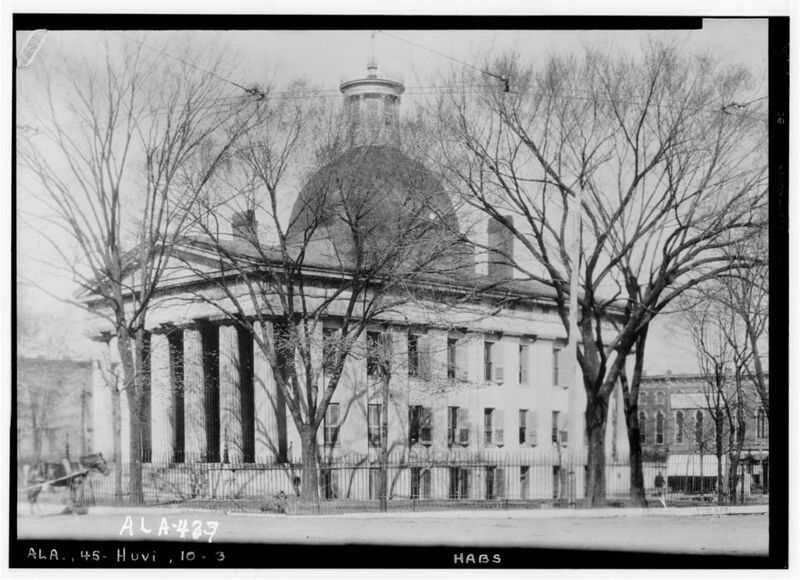 At the time of the State Convention, in 1819, Huntsville was the metropolis of the State, and had such a reputation that in spite of its locality the idea was seriously entertained of making it the capital of the State. 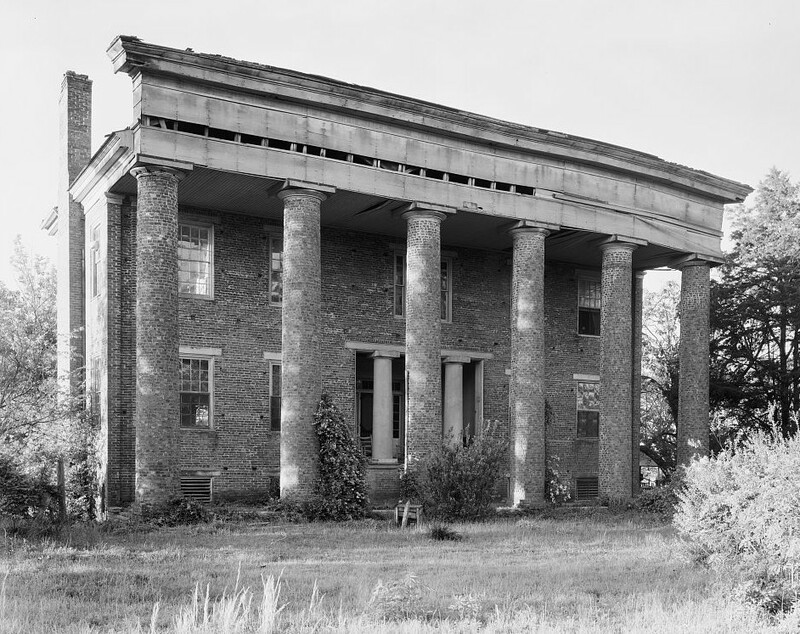 The survey and sale and occupation of the Tennessee valley lands in the southeast portion of the county, in the year 1818, added largely to the prosperity of the city. The lands offered for sale that year were the finest in the State, and our people who had knowledge of the immense profit in the cultivation of cotton on such lands were ready to buy at ruinously extravagant prices. The value of real estate in the city and county had rapidly increased, and by the year 1818-19 reached its maximum. Real estate reached a point of valuation far above any price attained prior or subsequent to that date. In the year 1818 the county line was extended to its present western limit, and this year was the date of the first settlement of the county around Triana and Madison. 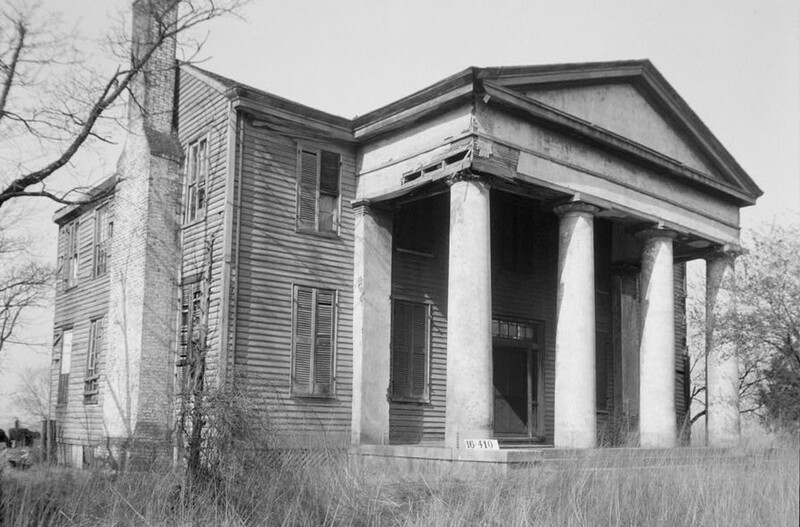 ALABAMA FOOTPRINTS – Settlement: Lost & Forgotten Stories (Volume 2) is a collection of lost and forgotten stories of the first surveyors, traders, and early settlements of what would become the future state of Alabama. I thought the article was very interesting! I am looking for information about Captain John Graham who lived in Madison County. He died there in 1825. He was a Revolutionary War Patriot and is buried somewhere in Madison County. I was hopiing he might be mentioned, but he was not. 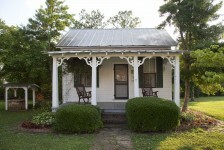 I visited this house when I was in Huntsville a few years ago. It is awesome.